Hi guys. 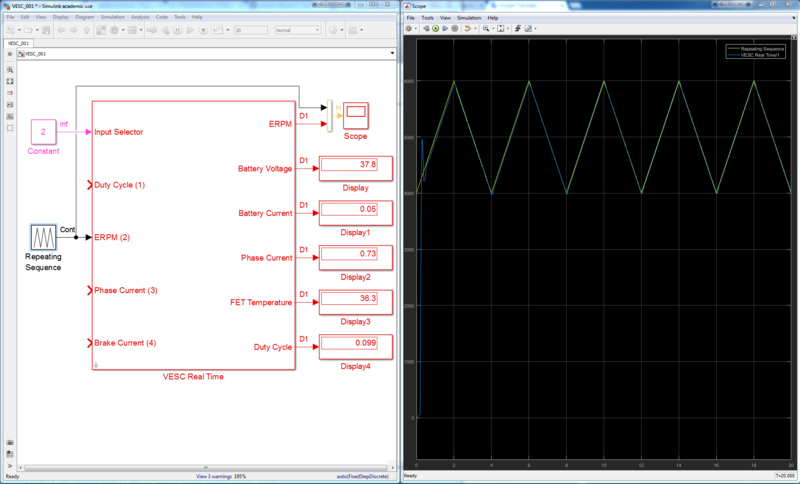 I have created a simulink block to communicate with the VESC in real-time for windows. I am sharing the block files. I am not a profi S-function writer. So I do not guarantee anything. For me it is working properly. Use it with your own responsibility. You need to extract the file and copy VESC folder and VESClib.slx file in your current workspace of the Matlab. Right click on VESC folder -> add to path -> selected folder and subfolders. Create a new Simulink file. open the VESClib.slx. This is the library. Copy the block in your simulink model. Set the sampling rate, baudrrate and com port number. if you double click on the block, it is written there how to use it. I have a question although. The following images show the usage of it when the VESC is programmed once with FOC and one with BLDC mode. Why the speed measurement in FOC moce is that much nice but in BLDC mode it is that much noisy? How can I make the measurement as nice as FOC? Open the images in a new tab and full screen for a better quality. Why the speed measurement in the BLDC mode is very nosiy but in FOC mode is very smooth? It is the same using BLDC-tool. In BLDC the value is based on the number of commutations per time passed (stored as rpm_now in ). In FOC the rpm is calculated based on something called m_pll_speed, which value is calculated in pll_run() in . I have not studied the code enough to understand what this is, so cannot explain any further. My idea for a long-term solution would be to break out the code for the different sensors to their own source files, and give them a common interface (the Linux kernel uses this technique in many places to write more object oriented C). Then one could add pure software-based "sensors" as well, that used a combination of physical sensors, sensorless observers, linear/quadratic/cubic extrapolation, any kind of advanced estimation really, for position and speed. Then it would also be possible to hook in a FIR filter in that chain. Problem is, I have very little time, so this won't happen anytime soon (not from me at any rate). yosoufe: Why is the noise a problem for you? 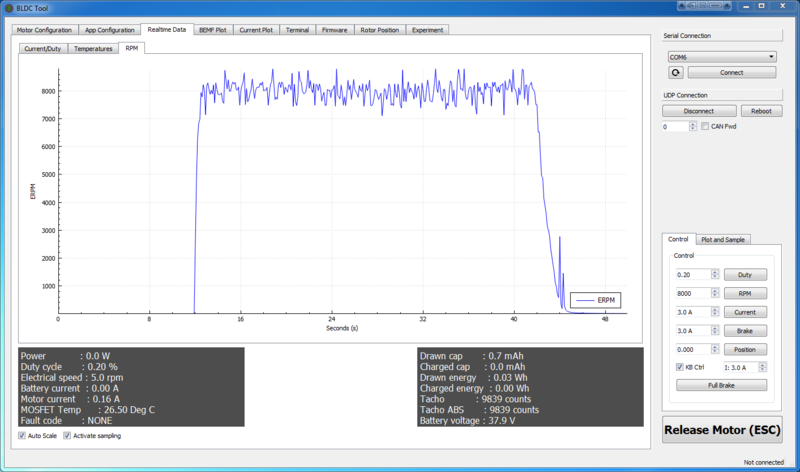 Maybe a good solution would be to simply filter the signal in Simulink? The number of commutations and their time are recorded in update_rpm_tacho() in variable rpm_dep based on the TIM2. This function is called on every call of commute(). 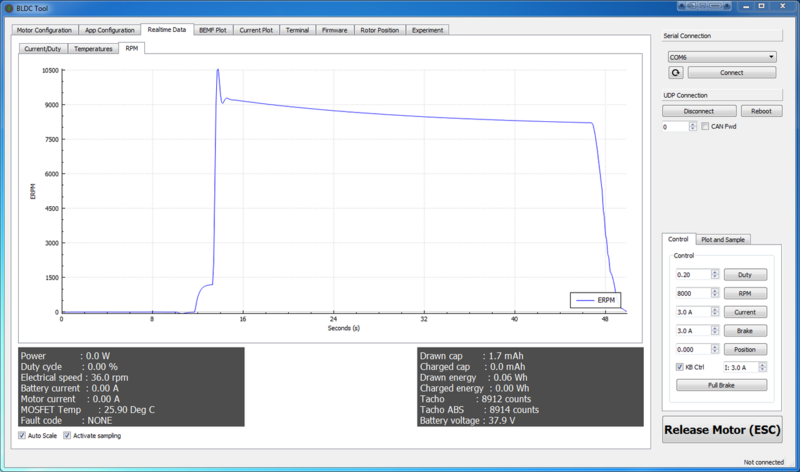 In the pwm_thread it is doing the speed calculation and makes the recorded values again zero. Based on the above picture it is implemented in pll_run(). The nonlinear position observer is based on the same paper above. Ah, so that's what the pll code implements! I tried to read up on phase locked loops but still couldn't really grasp in detail how the speed & position estimation worked in mcpwm_foc.c. Much easier now when I know it's from the observer paper. Thanks! has anyone continued working on Simulink? I wonder if somebody might have implemented the position control.